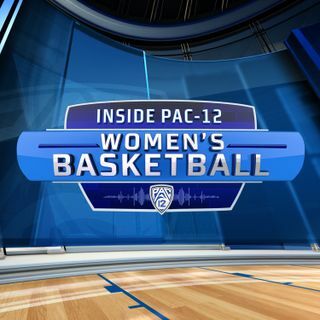 On the 7th episode of the Inside Pac-12 Women’s Basketball Podcast, Pac-12 Networks’ Ashley Adamson and Mary Murphy reveal the 2018-19 Pac-12 award selections and interview each of the winners. They talk to Pac-12 Player of the Year Sabrina Ionescu (2:02) and ask her what it means to win the award for the second straight season. Ash and Mary interview Pac-12 Defensive Player of the Year Kristine Anigwe (9:58), and talk about what led to her improving defensively each season at Cal. John R. ... Más informaciones Wooden Coach of the Year Kelly Graves joins the show next (17:28), and they discuss how he dealt with raised expectations in Eugene this season. Then, Ash and Mary talk to Pac-12 Freshman of the Year Dre’Una Edwards (26:17), and ask her the hardest part of transitioning from high school to college. Lastly, Ash and Mary interview Pac-12 Sixth Player of the Year Aleah Goodman (32:51), and discuss how she provides energy coming off the bench for the Beavers. They also hear from Pac-12 Scholar-Athlete of the Year Alanna Smith (38:21), who tells them why she is so grateful she attends Stanford.